We did not waste any time getting back into "work" mode! We are doing so many new and wonderful things in the classroom. In Reader's Workshop, we continued to look at the picture AND the first letter of the word to see if it makes sense! This week practiced our strategy of matching the picture and the first letter and then looking through the whole word. 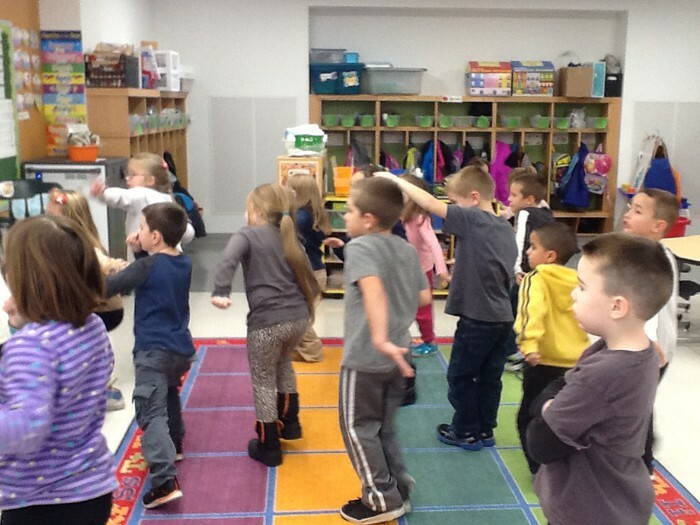 This week our class had SO many "AHA" moments during reader's workshop. Many of our friends were using the strategy successfully this week. It is so AWESOME to hear the children gasp when they figure out the strategy on their own. The excitement of them wanting to share their reading is so wonderful. In Writer's Workshop, we finished up our unit on writing about small moments in our lives. The children have become skilled at drawing stories with a beginning, middle, and end. They have become better at adding details, action and speech bubbles to their work. We still need some work with adding words and sentences to match our pictures. In Math, we finished our unit on Shapes and completed our assessment. Most of our friends did really well. Overall, we noticed that we need work on positional words. For example, behind, in front of, next to, beneath, and beside. Please use these words in conversation at home to help reinforce their meaning in real life situations. In Phonics, we have finished our first unit, which includes the introduction of ALL the letters and sounds. Many of our friends are still working on letter names and their sounds. Please practice these with the flashcards that were sent home. During our read alouds, we will read several different Gingerbread Man books and discuss their similarities and differences. This week will be a fun week of learning. In Reader's Workshop, we will practice our strategy of matching the picture and the first letter and then looking through the whole word. I know it seem like we have been at this strategy for a LONG time, however, it is a big concept for our small people. This is the foundation of becoming a successful reader and it requires A LOT of practice. As we mentioned earlier, many of our friends are almost mastering the skill. Once, they have mastered it, we will work with them individually to conquer the next strategy. We are really pushing them to be the best reader they can be! We hope you are seeing this at home! In Math, we began our unit on measurement. We compared length and height this week. We are working on using the words; taller, shorter, and longer. At home, please work with your child and have them use these words in a sentence. For example, "The tree is taller than the house". "The soda bottle is shorter than the cereal box". "The pencil is longer than the crayon". Please remember if you are talking about items that are being compared up and down (vertical), use the word taller. If you are comparing items that are side to side (horizontal), use the word longer. The word shorter can be used with both taller and longer. I hope this makes sense. Have your child show you the hand motions to help them with this concept. In Writer's Workshop, we will discuss the purpose of letter writing. We will work as a class to create letters to our neighboring classes. We will create some of our own letters this week. In Phonics, we will practice tapping out the sounds in CVC words in order to read them. At this time, the majority of our friends know their letters, so we will not be having a letter study of the week. Thank you for practicing at home, it has made a HUGE difference. 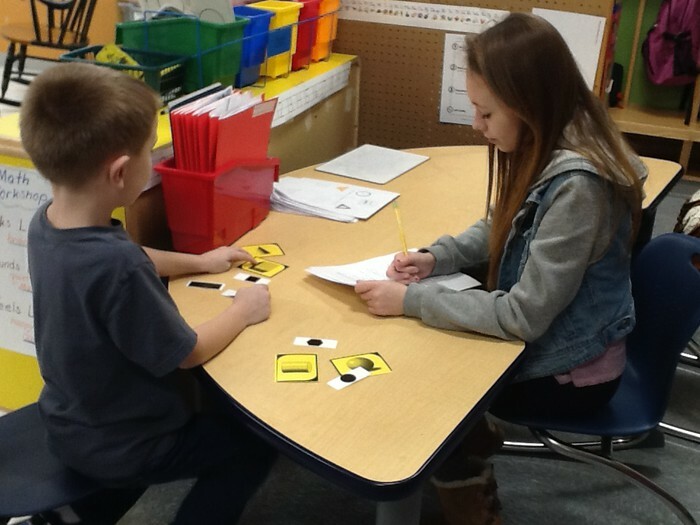 There are still some children that are still struggling with their letters and these friends will be working with us and other teachers during small group time to master their letters. This week we are really practicing on recognizing beginning and ending sounds, rhyming words, writing words using letter sounds, tapping out words. These skills will be introduced this week and practiced continuously over the next several weeks. In Science, we will be focusing on how birds and owls live in their habitat. We will be exploring habitats in our choice centers. We will be having a holiday party on December 23th. In light of the holiday and literacy, we will be participating in a holiday book swap. Your child will bring in a wrapped book for a child. If they are a boy, they buy a boy book and if they are a girl, they can buy a book for a girl. The dollar value on the books will be between $1.00 and $5.00 (Ocean State Job Lot and Dollar Tree have a great selection for low cost). If it is a hardship and this is not feasible for you, please let us know in advance. We always have extra books that your child can choose and give to their classmate. If you would like to provide a snack, please let us know. We will read several fun books to reinforce the love of reading. During these read alouds we will be practicing some of our strategies that we are learning in our retelling unit. Elementary report cards for grades K-4 have been changed to a new standards-based format that will be issued three times a year. We will be piloting the newly designed report cards this year and will be collecting parent feedback to ensure our report cards are clearly communicating student progress in relation to grade-level standards. Why are report cards changing? After reviewing our elementary report cards, we realized that they did not reflect recent changes in our standards, curriculum and instruction. The new report cards were developed from the Massachusetts State Standards. Standards are determined at the state level and outline what a student should know or be able to do at each grade level. Massachusetts State Standards guide teacher planning of curriculum, instruction and assessment. Standards-based report cards reflect student progress in meeting grade-level standards. The report cards you will see this year were reviewed by teachers, administrators, consultants and content specialists from the state. When will I my child receive his/her report card? Students at ACES and RCS will receive report card three times this year. Your child’s first report card will be distributed at conferences on December 12th & 13th. Second trimester report cards will be distributed on March 24th. The final report card will be sent home with students on the last day of school. Please remember report cards are one form of communication between school and home. If you have questions regarding your child’s progress, please contact your child’s classroom teacher anytime. Report Cards will go home at conferences. Please make sure that you follow the link that was sent home to set up a date/time. 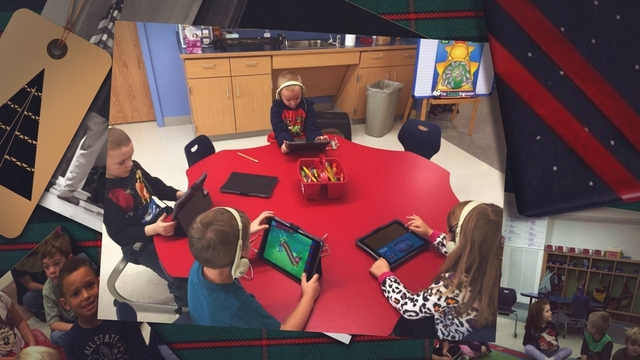 Mrs. Potter's class and Mrs. Maillet's class have not been added to the list yet, however, the company was contacted and the issue should be resolved shortly. Thank you for your understanding. Many parents are asking what the class needs for supplies. We could use some Clorox Wipes and paper towels. Thank you in advance. Please practice letters, sounds, and sight words with your child nightly! Thank you! We are also learning about Christmas Around the World through our traveling Gingerbread Man. The children LOVE finding out about the cultures and traditions of other people in the world. So far, we have learned about Christmas in the Netherlands, Germany, and Australia. Gingie has been dropping stuff of from his adventures around the world, including books, pictures, and more. PTO is this Tuesday, December 7th at 6:00 PM. I hope you can find time to come and see what it is all about. Childcare is provided. Hope to see you there. Friday, December 9th is Make and Take. This is a great way to have your child make something for other family members to give for a holiday gift. It is a great night. 6:00- 7:30pm. Scholastic book order will go out on December 7th. This is a great way to get books for our book exchange and books for Christmas. There are some great buys. We sure have had a busy week! Busy yet fun, the children are really enjoying comparing and contrasting all of the wonderful gingerbread books. Thank you to those who let their children bring in gingerbread books from home to share with our class, the children loved reading them. All of our disguised gingerbread boys/girls are on display hiding from that sly old fox, he hasn't found one yet! Thank you for all of the support in completing this fun home project with your child. I am sure your children shared with you the news of a special visitor from the North Pole! They were all so excited as I read to them, the letter that was found under the wing of our magical owl whom we have named Fizbee. Fizbee flies back and forth from our classroom to the North Pole each night and gives a report to Santa, as well as brings a special surprise for the class. This is very exciting! Book orders are due Wednesday, December 7th. There are some great deals in this month's catalog, so please check it out. You could use this catalog to purchase a book for our classroom book swap, please do not spend more than $5 on the book you plan on purchasing for the swap. Our swap will be held on Friday, December 23rd. Each child should send in a wrapped book, the tag should read To: A Boy From: your son's name OR To: A Girl From: your daughter's name. If you cannot purchase a book PLEASE let me know ahead of time and I will be glad to help. Swap gifts may be sent in at any time, I will put them away until the swap. If you would like to share a treat with our class on this day please send me a note stating what your child will be bringing, we have a new student which brings our total number if students up to 22. The only food allergy we have in our class is to peaches so please be aware when you are sending in goodies. Thank you! Conferences are coming up soon, if you would like to come in for a conference please be aware that you MUST sign up for a time, notices went home last week on how to do so. Report cards will be handed out at this time. Please be aware we will only have 10 minutes to discuss your child's report card and any concerns you may have. If you think we'll need more time please feel free to ask and we can set up a time for a phone conference at a later date. Please remember to send back the mystery bag with a special item of your child's choice and 3 clues about the item. Also, our classroom Alphabet name book needs to be returned the day after your child brings it home to read. Other children look forward to sharing these things with their families and when they are not returned I have unhappy children. With the cold weather here PLEASE send your child in a winter coat, hat and mittens. All of your child's winter items should have their name written in them otherwise things get lost and you may not find them. A sweatshirt for your child to leave in the classroom would be divine also, since some of the kiddos get chilled and want to wear their heavy coats inside. We had a great week reading Gingerbread stories . We found that some stories have different characters and the endings are different. Our favorite story so far is the "Gingerbread Girl and the Animal Crackers". We do have a small guest in our room. We haven't met him/ her yet! But we hear that he visits all classrooms and reports back to the North Pole. We created a habitat for our play center. We have named it " Hibernation Station ". We could use some batteries for our flash lights AA and some AAA. They love using them. Please sign up for parent /teacher conferences. You can sign up on line. I sent home the information last week. If you need me to send it again let me know. I hope you find time to read with your child during this busy time of year. 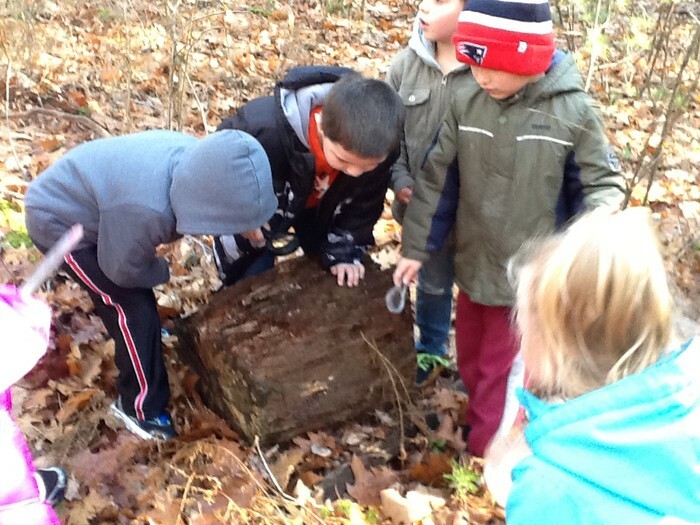 Students are exploring what can be found in woodland habitats. Rainy days we needed to move. Miss Truehart asking students to sort shapes. Flat shapes and solid shapes. We have been having a lot of fun comparing and contrasting gingerbread stories. We also had a great time sharing our gingerbread men in disguise! Thank you all for doing this fun project with your child. They all did a great job sharing them! We also got to try some home made gingerbread made by Mrs. Parker. It was a big hit! We had a big surprise on Friday - when we came into school, there was a present left for us from the North Pole. It is a magic reindeer (which we named, Chrystal). This reindeer reports back to the North Pole every night to the big guy! He has a pouch to hold reports on students in our class! We are very excited about this and can't wait to see what surprise might be waiting for us on Monday! Conference sign up information was sent home. I noticed some of you already signed up for a time. I am looking forward to seeing you. I must warn you that we are only allotted 10 minute conferences, so they will have to be quick. But, if you still need to talk, we could always set up another time to meet or speak over the telephone. I will give you your child's report card and explain it to you at the conference. I look forward to seeing you all! Book orders are due this Friday and they will be in before Christmas. Scholastic has some inexpensive books that you could purchase for the book gift swap. Walmart, Ocean State, and Dollar Tree also have some reasonably priced books! We have a special guest, named Chimchim (a stuffed snowman), that has been given to us by a "mystery" person. He has been moving around the classroom and keeping an eye on our behavior. If we are well-behaved, he moves to a new spot. If we are not on our best behavior, he doesn't move. So far, he has moved everyday!! We are also learning about Christmas Around the World through our traveling Gingerbread Man. The children LOVE finding out about the cultures and traditions of other people in the world. So far, we have learned about Christmas in the Netherlands. I will place the book order for the month of December on the 7th. The shipment will be in before Christmas. Thank you for your support!